More and more people are looking for inventive ways to keep themselves and others safe from the measles outbreaks across the nation. 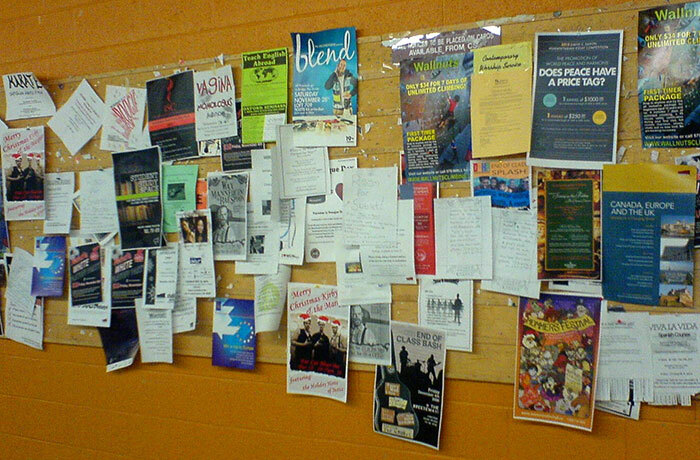 One group of concerned moms instead of taking to the internet to spread information took a more old-fashioned route and passed out letters throughout their neighborhood warning of a health risk right in their area. In the letter, they warned that one of their very own neighbors was unvaccinated and that the others, particularly those in high-risk groups, should take cautionary measures when interacting with them. 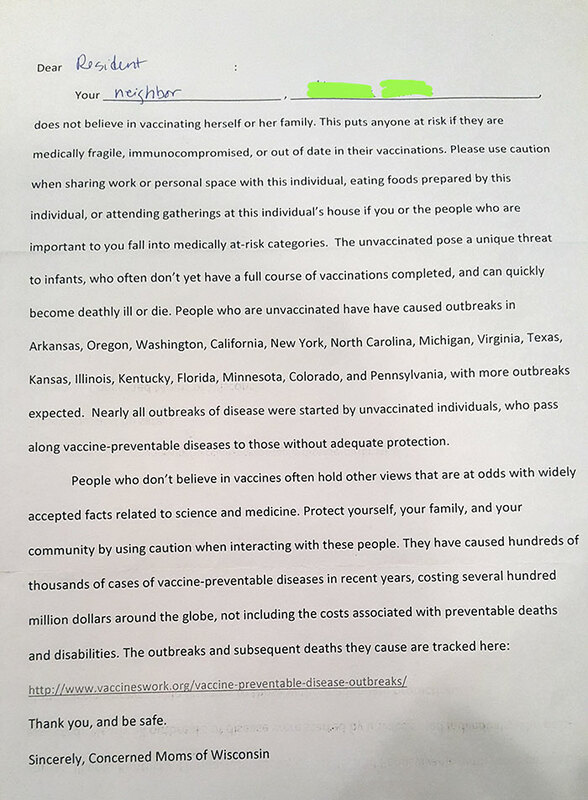 The letter not only singled out their neighbor but gave detailed information on the outbreak, anti-vaxxers, and the outbreak. Scroll down to see what these moms had to say. Wisconsin is one out of 17 states that allows parents to opt-out of vaccinations due to personal beliefs. According to the Wisconsin Department of Health Services, the last confirmed case of measles was in 2014. In March an unimmunized Wisconsin man was put on quarantine for suspected exposure to the disease and was accused by police of breaking the mandated isolation by attempting to go to a gym. does not believe in vaccinating herself or her family. This puts anyone at risk if they are medically fragile, immunocompromised, or out of date in their vaccinations. Please use caution when sharing work or personal space with this individual, eating foods prepared by this individual, or attending gatherings at this individual’s house if you or the people who are important to you fall into medically at-risk categories. The unvaccinated pose a unique threat to infants, who often don’t yet have a full course of vaccinations completed, and can quickly become deathly ill or die. People who are unvaccinated have caused outbreaks in Arkansas, Oregon Washinton, California, New York, North Carolina, Michigan, Virginia, Texas, Kansas, Illinois, Kentucky, Florida, Minnesota, Colorado, and Pennsylvania, with more outbreaks expected. Nearly all outbreaks of disease were started by unvaccinated individuals, who pass along vaccine-preventable diseases to those without adequate protection. While there has been no measles outbreak in Wisconsin yet, there has been a state-confirmed case of mumps as of 2019 – another vaccine-preventable disease. Mumps is a virus caused disease passed through the air or saliva that causes swollen salivary glands.